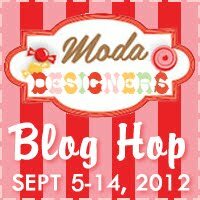 During this blog hop you will learn about each Moda designers home town! We all will have giveaways!!! So visit our sites and try to win our great prizes! Learn about the new pre-cut Moda Candy, and collect all of our patterns. KATHY SCHMITZ, SWEETWATER and V AND CO.
Prizes will be announced on each blog. Stop by Moda’s blog the Cutting Table throughout the hop. Looking forward to “your” MODA bake shop day. I learned so much from you yesterday about wool!! That is FELTED WOOL!! Thanks for doing the lecture at the expo. Can hardly wait to get started. Would like to do a workshop with you some time. You are awesome.